It is well known by all the poor security of SOHO routers distributed by ISPs. Vulnerabilities, default passwords,… These routers expose inexperienced users to be hacked. I want to share here a method which I have been playing that would let us to configure some router models when a user clicks a link created by us. I have not read about this method on the internet, sorry if I am wrong and it’s not new. The method is quite simple. It is usual to find routers with default passwords. And these devices usually offers a HTTP based interface to configure them. And some models accept configuration parameters through the URL. The default user:password for this router is admin:admin. 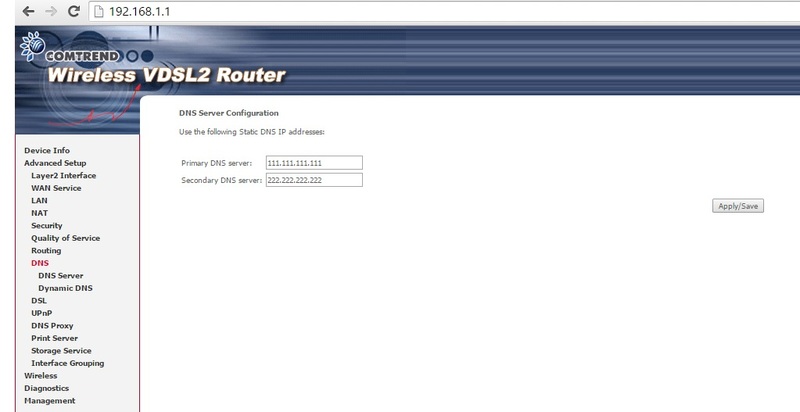 The default ip address for the network router is 192.168.1.1. Other configurations could be modified too (proxies, DMZ, WAN interface access,…). These routers are currently being used by many jazztel ISP’s clients in Spain (maybe other ISPs in other countries use these models too). Internet Explorer doesn’t accept username and password in the URL (I mean the syntax http://user:password@domain.com). Currently chrome and firefox are accepting username and password in the URL. I don’t know about other browsers.